Fortas was born in Memphis, Tennessee, the son of Ray (née Berson) and William Fortas. He was the youngest of five children. His parents were Orthodox Jews, were of British descent, and his father worked as a cabinetmaker. Fortas acquired a lifelong love for music from his father, who encouraged his playing the violin, and was known in Memphis as “Fiddlin’ Abe Fortas”. He attended public schools in Memphis, graduating from South Side High School in 1926. He next attended the Southwestern at Memphis college (now called Rhodes College), graduating in 1930. Fortas left Memphis to enroll in Yale Law School. He graduated second in his class in 1933 (second only to another Memphian, Luke Finlay), and he was the editor in chief of the Yale Law Journal. One of his professors, William O. Douglas, was impressed with Fortas, and Douglas arranged for him to stay at Yale to become an assistant professor of law. Shortly thereafter, Douglas left Yale to run the U.S. Securities and Exchange Commission (SEC) in Washington, D.C. Fortas commuted between New Haven and Washington, both teaching at Yale and advising the SEC. In 1935, Fortas married Carolyn E. Agger, who would become a successful tax lawyer. They had no children, and after he became an Associate Justice, they lived in the Georgetown section of Washington, D.C.
Fortas was an amateur musician who played the violin in a quartet, called the “N Street Strictly-no-refunds String Quartet” on Sunday evenings. It often included notable musicians passing through town, such as Isaac Stern. Fortas was a good friend of the first democratically elected Governor of Puerto Rico, Luis Muñoz Marín, calling him “a spectacularly great figure”, and had developed a deep love for the island since the days of the Franklin Roosevelt Administration. Visiting the island, frequently lobbying for the island in Congress, participating in the drafting of the Constitution of Puerto Rico, and giving legal advice to Muñoz Marín and his administrators whenever requested. He directed the Kennedy State Dinner at the White House in honor of Muñoz Marín on November 13, 1961. The Spanish cellist Pablo Casals performed a concert at the occasion, breaking his boycott of the United States, which had recognized General Franco to his chagrin. Fortas also developed a good friendship with Casals. The Academy Award winning Puerto Rican actor and director José Ferrer portrayed Fortas in the film Gideon’s Trumpet (1980). Fortas served as general counsel of the Public Works Administration and as Undersecretary of the Interior during the administration of Franklin D. Roosevelt. While he was working at the U.S. Department of the Interior, the Secretary of the Interior, Harold L. Ickes, introduced him to a young congressman from Texas, Lyndon Johnson. In 1945, Fortas was granted a leave of absence from the Department of Interior to join the Armed Forces of the United States. According to his official biography, within a month, Fortas was discharged because of an arrested case of ocular tuberculosis. Later in 1945, he was appointed by President Harry Truman as an advisor to the U.S. delegation during the organizational meeting of the United Nations in San Francisco and at the 1946 General Assembly meeting in London. After leaving government service, Fortas founded a law firm with Thurman Arnold in 1946, then known as Arnold & Fortas. Former Federal Communications Commission commissioner Paul A. Porter joined the firm in 1947, and after the appointment of Fortas to the Supreme Court, the firm dropped his name, and is thereafter it was named Arnold & Porter. For many years, it has been one of Washington’s most influential law firms, and today is among the largest law firms in the world. In 1948, Lyndon Johnson ran for the Democratic nomination for one of the two seats in the U.S. Senate for Texas. Johnson won the Democratic primary by only 87 votes. His opponent, the former Governor of Texas, Coke R. Stevenson, persuaded a federal judge to issue an order taking Johnson’s name off of the general election ballot while the primary results were being contested. There were serious allegations of corruption in the voting process, including 200 votes for Johnson that had been cast in alphabetical order. Johnson asked Fortas for help, and Fortas persuaded Supreme Court Justice Hugo Black to overturn the ruling. Johnson then won the general election and became a U.S. Senator. During the Red Scare of the late 1940s and early 1950s, Fortas came to widespread notice as the defense attorney for Owen Lattimore. In 1950, Fortas often clashed with Senator Joseph McCarthy when representing Lattimore before the Tydings Committee, and also before the Senate Internal Security Subcommittee. During several conversations with Lyndon Johnson in the week following the assassination of President Kennedy it was Fortas who originally suggested to Johnson that he should form a U.S. government funded commission to investigate the assassination that would simultaneously cut-off active investigations inside Texas and several additional, separate investigations being called-for by other U.S. government officials. Johnson agreed, and this resulted in Johnson forming the Warren Commission. Durham’s defense had been denied because the District Court had applied the M’Naghten Rules, requiring that the defense prove the accused didn’t know the difference between right and wrong for an insanity plea to be accepted. Adopted by the British House of Lords in 1843, generations before the origins of modern psychiatry, this test was still in common use in American courts over a century later. The effect of this standard was to exclude psychiatric and psychological testimony almost entirely from the legal process. In a critical turning point for American criminal law, the Court of Appeals accepted Fortas’s call to abandon the M’Naghten Rule and to allow for testimony and evidence regarding defendants’ mental state. In 1963, Fortas represented Clarence Earl Gideon’s appeal before the Supreme Court. Gideon, a poor man from Florida, had been convicted of breaking into a pool hall. He could not afford a lawyer, and none was provided for him when he asked for one at trial. In its landmark ruling in Gideon v. Wainwright, the Supreme Court held for Gideon, ruling that state courts are required under the Sixth Amendment to provide counsel in criminal cases for defendants unable to afford their own attorneys or lawyers. In 1965, Lyndon Johnson, by then the President of the United States, persuaded Supreme Court Justice Arthur Goldberg to resign his seat to become the U.S. Ambassador to the United Nations because the President wanted Goldberg for that position. 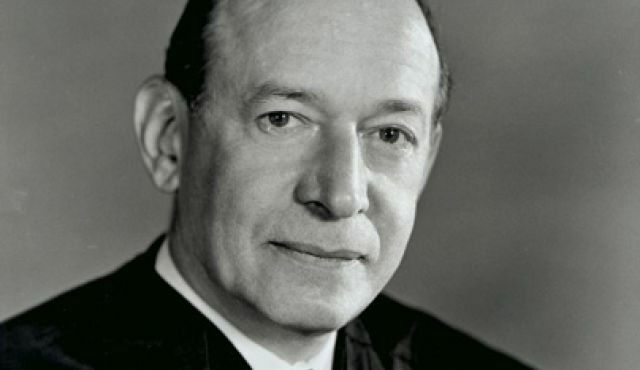 Johnson thought that some of his reforms (the “Great Society”) could be ruled unconstitutional by the Court, and he felt that Fortas would let him know if that was to happen. Johnson and Fortas did collaborate while Fortas was an Associate Justice. 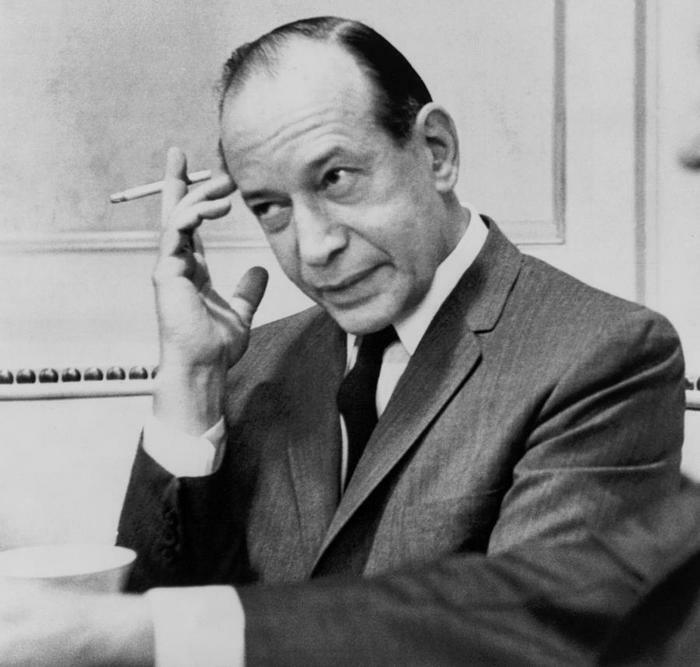 Fortas co-wrote Johnson’s 1966 State of the Union speech. On the Court, Fortas was particularly concerned with children’s rights. Fortas also dissented when the Court upheld some public intoxication laws. In 1968, Fortas wrote a book called Concerning Dissent and Civil Disobedience which was publicly criticized by historian Howard Zinn in his book Disobedience and Democracy: Nine Fallacies on Law and Order. Fortas mostly had good working relations with his fellow justices, although they did worry that he talked to President Johnson too much. 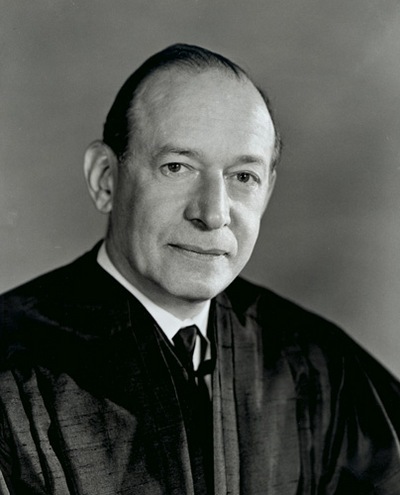 Fortas clashed with his fellow Associate Justice Hugo Black during much of his time on the Court. The two had been friends since the 1930s, and Black helped Fortas’ wife Agger consent to his appointment to the Supreme Court. However, once both men were on the Court, they disagreed about the manner in which the Constitution should be interpreted, and they found themselves on opposing sides in the Court’s opinions most of the time. In 1968, a Warren clerk called their feud “one of the most basic animosities of the Court”. Fortas’s best relationship was with William O. Douglas. Fortas was also close to Associate Justice William J. Brennan and Chief Justice Earl Warren. Brennan’s offices were in the chambers next to those of Fortas. Fortas’s wife recalled that Fortas “loved Warren”. Fortas called John Marshall Harlan II “one of my dearest friends, although we usually are on opposite sides of the issues here”. In 1967, Fortas and Douglas dissented in the 5–4 decision Fortson v. Morris, which cleared the path for the Georgia State Legislature to choose the Governor of Georgia in the deadlocked Georgia gubernatorial election of 1966 between the Democrat Lester Maddox and the Republican Howard Callaway. Fortas said that the State Constitution of 1824 that allows the legislature to choose the Governor if no one wins a majority in the general election is at odds with the equal protection clause of the 14th Amendment to the U.S. Constitution. Fortas stated, “If the voting right is to mean anything, it certainly must be protected against the possibility that the victory will go to the loser.” In this case Maddox trailed Callaway by about 3,000 votes. On the other hand, Justice Black took the strict constructionist view that the U.S. Constitution does not dictate how a state must choose its governor: “Our business is not to write the laws to fit the day. Our task is to interpret the Constitution,” Black explained. Fortas was critical of those justices (he specifically cited Thurgood Marshall) who frequently broke into attorneys’ arguments to ask questions. As an attorney arguing before the Court, he had resented intrusions by the justices, so as a justice himself he felt it best to let the lawyers give their arguments uninterrupted. During his time on the Court, Fortas led a revolution in U.S. juvenile justice, broadly extending the Court’s logic on due process rights and procedure to legal minors and overturning the existing paradigm of parens patriae, in which the state had usurped the parental role. Writing the majority decision in Kent v. United States (1966), the first Supreme Court case that evaluated a juvenile court procedure, Fortas suggested that the existing system might be “the worst of both worlds”. At that time, the state was held to have a paternal interest in the child rather than a prosecutorial one, a concept that dispensed with the obligation to provide a child accused of a crime with the opportunity to make a defense. Still, the courts were empowered to decide, in the interests of the child, to have the child incarcerated for lengthy periods or otherwise severely punished. Fortas elaborated on his critique the following year in the case of In re Gault (1967). The case concerned a 15-year-old who had been sentenced to almost six years (until his 21st birthday) in the Arizona State Industrial School for making an obscene phone call to his neighbor. Had he been an adult the maximum punishment he could have received was a $50.00 fine or two months in jail. Fortas used the case to launch a ferocious attack on the juvenile justice system and parens patriae. His majority opinion was a landmark, extending the 14th Amendment’s guarantees of right to sufficient notice, right to counsel, right to confrontation of witnesses, and right against self-incrimination to certain juvenile proceedings. Two years later, Fortas wrote another landmark in children’s rights with the decision in the case of Tinker v. Des Moines Independent Community School District, involving two high school students and one junior high school student who had been suspended for wearing black armbands to school to protest the Vietnam War. Extending First Amendment rights to school students for the first time, Fortas wrote that neither “students or teachers shed their constitutional rights to freedom of speech or expression at the schoolhouse gate”. In 1968, Fortas persuaded the court to accept the appeal of Little Rock Central High School teacher Sue Epperson who had challenged Arkansas’ anti-evolution law with the support of the state teachers union. Epperson had won the case, but the Arkansas Supreme Court had overturned the ruling. Although the Court agreed quickly after hearing the case that the Arkansas ruling should be reversed, there was no consensus as to why, with most Justices favoring fairly narrow grounds. Fortas was the architect and the author of the broader landmark majority opinion in Epperson v. Arkansas that emerged banning religiously-based creation narratives from public school science curricula. Fortas believed in an expanded executive branch and a less powerful legislative branch. He wrote: “The enormous growth of presidential power from Franklin D. Roosevelt to Lyndon Johnson was a necessary and an inevitable adaptation of our constitutional system to national needs”. When Chief Justice Earl Warren announced his retirement in June 1968, Johnson nominated Fortas to replace Warren as Chief Justice. However, the Warren Court’s form of jurisprudence had angered many conservative members of the U.S. Senate, and the nomination of Fortas provided the first opportunity for these senators to register their disenchantment with the direction of the Court; they planned to filibuster Fortas’s nomination. Senate Judiciary Committee chair James Eastland told Johnson he “had never seen so much feeling against a man as against Fortas”. 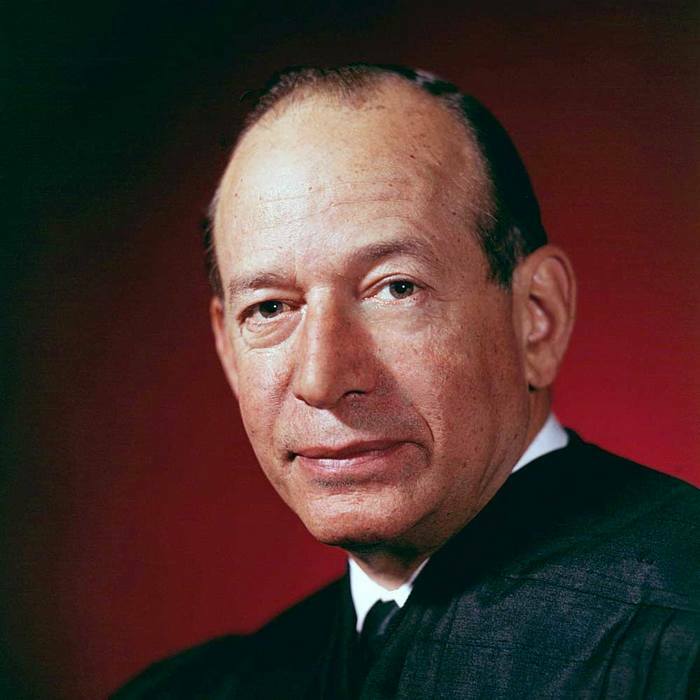 Fortas was the first nominee for Chief Justice ever to appear before the Senate, and he faced hostile questioning about his relationship with President Johnson, who had consulted with Fortas about political matters frequently while Fortas was on the Supreme Court. Fortas’s acceptance of $15,000 for nine speaking engagements at American University’s Washington College of Law became a source of controversy. The money had not come from the university, but from private sources that represented business interests connected to 40 companies; Senator Strom Thurmond raised the idea that cases involving these companies might come to the Court and Fortas might not be objective. While not illegal, the size of the fee raised much concern about the Court’s insulation from private interests, especially as it was funded by the former clients and partners of Fortas. The $15,000 represented more than 40 percent of a Supreme Court justice’s salary and was seven times what any other American University seminar leader had ever been paid. “We won’t withdraw the nomination. I won’t do that to Abe.” Though we couldn’t get the two-thirds vote needed to shut off debate, Johnson said we could get a majority, and that would be a majority for Fortas. “With a majority on the floor for Abe, he’ll be able to stay on the Court with his head up. We have to do that for him.” Fortas also wanted the majority vote… On October 1, after a strenuous White House effort, a 45–43 majority of senators voted to end the filibuster, short of the 67 votes needed for cloture, but just barely the majority LBJ wanted to give Fortas. Later that day, Fortas asked the President to withdraw his nomination. The debate on Fortas’s nomination had lasted for less than a week, led by Republicans and conservative southern Democrats, or so-called Dixiecrats. Republican Senator John Cornyn noted in 2003 that several senators who opposed Fortas asserted at the time that they were not conducting a perpetual filibuster and were not trying to prevent a final up-or-down vote from occurring. The filibuster of Fortas would become a partisan issue for future generations, with a debate over whether Fortas would have been confirmed in a straight up-or-down vote. The Fortas vote is seen as an early precedent for later filibusters of judicial nominees. In 1968, the rules of the Senate required two-thirds of senators present to stop a debate (the rule was later changed to 60, rather than 67 votes). The 45 to 43 cloture vote to end the Fortas debate included 10 Republicans and 35 Democrats voting for cloture, and 24 Republicans and 19 Democrats voting against cloture. The 12 other senators, all Democrats, were absent. The New York Times wrote of the 45 to 43 vote for cloture: “Because of the unusual crosscurrents underlying today’s vote, it was difficult to determine whether the pro-Fortas supporters would have been able to muster the same majority in a direct confirmation vote.” The next president, Republican Richard Nixon, appointed Warren Burger the next Chief Justice. David Leonhardt of The New York Times called Johnson’s nomination of Fortas “one of the most consequential blunders in modern American politics” as the Chair has been held by conservatives appointed by Republican presidents ever since. Fortas remained on the bench, but in 1969, a new scandal arose. Fortas had accepted a $20,000 retainer from the family foundation of Wall Street financier Louis Wolfson, a friend and former client, in January 1966. Fortas had signed a contract with Wolfson’s foundation. In return for unspecified advice, it was to pay Fortas $20,000 a year for the rest of Fortas’s life (and then pay his widow for the rest of her life). Wolfson was under investigation for securities violations at the time and it was alleged that he expected that his arrangement with Fortas would help him stave off criminal charges or help him secure a presidential pardon. He did ask Fortas to help him secure a pardon from LBJ, which Fortas claimed that he did not do. Fortas recused himself from Wolfson’s case when it came before the Court and had earlier returned the retainer, but not until Wolfson had been indicted twice. In 1970, after Fortas had resigned from the Court, Louis Wolfson surreptitiously taped a private telephone call with Fortas. The transcript of this call was disclosed by Wolfson’s lawyer, Bud Fensterwald, to Washington Post reporter Bob Woodward in 1977. The Washington Post subsequently published several excerpts from the transcript, including language suggesting that Fortas might indeed have spoken with LBJ about a pardon for Wolfson, but there is no evidence that this intervention was a quid pro quo rather than a voluntary intervention for a friend. Wolfson was convicted of violating federal securities laws later that year and spent time in prison. The new Richard Nixon administration became aware of the Wolfson deal when a Life reporter began investigating the story. FBI director J. Edgar Hoover also mentioned a “tax dodge” Fortas had entered into with other judges, and Nixon concluded Fortas should be “off of there”. When Chief Justice Earl Warren was informed of the incident by the new Attorney General John N. Mitchell, he persuaded Fortas to resign to protect the reputation of the Court and avoid lengthy impeachment proceedings, which were in their preliminary stages. Fortas’s judicial reputation was also affected by the previous Johnson consultation and American University scandals. Justice Hugo Black also urged Fortas to resign, but when Fortas said it would “kill” his wife, Black changed his mind and urged Fortas not to resign. Fortas eventually decided resignation would be best for him and for his wife’s legal career, and told his colleagues. William J. Brennan later said, “We were just stunned”. Fortas later said he “resigned to save Douglas”, another justice who was being investigated for a similar scandal at the same time. President Nixon eventually appointed as his replacement Harry Blackmun, after the previous nominations of Clement Haynsworth and G. Harrold Carswell failed. The seat was vacant for nearly the entire 1969–70 term. Rebuffed in the wake of his fall by the powerful Washington law firm he had founded, Fortas founded another firm, Fortas and Koven, and maintained a successful law practice until his death in 1982. However, his wife, Carolyn Agger, stayed at Fortas’s original firm, in part due to the fact that Fortas had resigned in order to protect her job there. In the year following his resignation, he turned down an offer to publish his memoirs. At Fortas & Koven, Fortas also kept two non-paying clients: Pablo Casals and Lyndon Johnson, with whom he remained great friends and whom he visited in Texas. Fortas was asked to donate his papers to Johnson’s presidential library by Lady Bird Johnson, but he replied that his correspondence with Johnson had always been kept in strictest confidence. According to his law partner Howard Koven, Fortas once consulted with Martin Scorsese on the legality of language Scorsese wanted to use in a movie. A portrait of him was placed in Yale Law School while he was still alive, underwritten by an anonymous donor. Fortas served as a longtime member of the board of directors of Carnegie Hall, including while he was on the Supreme Court. He also served on the board of the Kennedy Center since its opening in 1964. The American Bar Association revamped its rules as a result of the Wolfson affair, revising circumstances under which judges should not accept outside income. In the course of his return to private practice, Fortas sometimes appeared before his former colleagues at the Supreme Court. On the first occasion he did so, his successor, Harry Blackmun, recalled that his eyes met Fortas’s: “[Fortas] kind of nodded…I wondered what was going through his mind”. When Blackmun later questioned Fortas if he remembered the encounter, Fortas said he would “never forget it”. Blackmun thought Fortas’s attitude toward the new justice was remarkable, not showing “an ounce of antagonism or resentment.” Fortas died from a ruptured aorta in April 1982, and his memorial service was held at the Kennedy Center, with Isaac Stern and Lady Bird Johnson in attendance.